Sometimes, red Venetian blinds can be totally daring. And sometimes, the styles are more subdued. Either way, our red Venetian blinds are always an absolute must-have choice for every home. Browse the range and see how our designs could work with your décor. You’ll find red Venetian blinds in strong, striking shades that are perfect for bringing a spark to an interior. And you’ll see more subtle alternatives, which benefit from a richness that’s ideal for teaming with earth tones. As well as being totally stylish, our red Venetian blinds range is highly practical. The whole window dressing or just the louvres can be opened and closed as desired. This is a design that gives you accurate control over light and privacy. 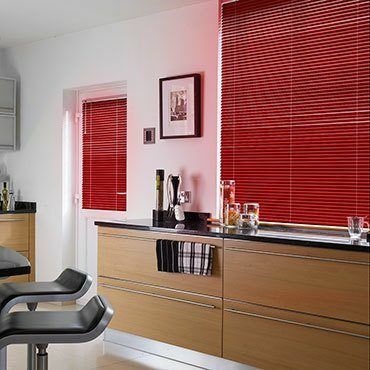 Our red Venetian blinds are hardwearing and well suited to the demands every room in the home. Book an in-home appointment and find out how easy picking red Venetian blinds is with Hillarys. Once you’ve settled on a time, one of our advisors will come to you. So you get to browse our range and choose the perfect Venetian blinds in the comfort of your home. If it’s style tips and practical advice you’re after, then your advisor will be a huge help. 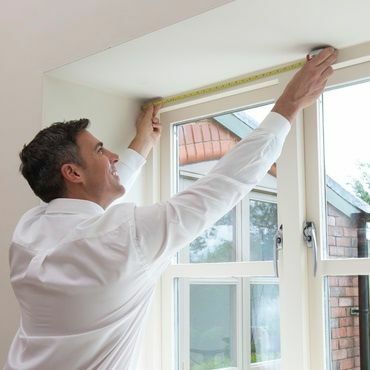 And will be able to offer you a welcome second opinion on all sorts of window dressing matters. Your advisor will also measure up and give you a no-obligation quote to consider.